Students from Yale march in Washington D.C.
Yale University law students staged a sit-in at the school Monday, and also sent a delegation to Washington D.C. They were calling for an investigation into allegations of sexual misconduct against Supreme Court nominee Brett Kavanaugh, a Yale undergrad and law school alumnus. 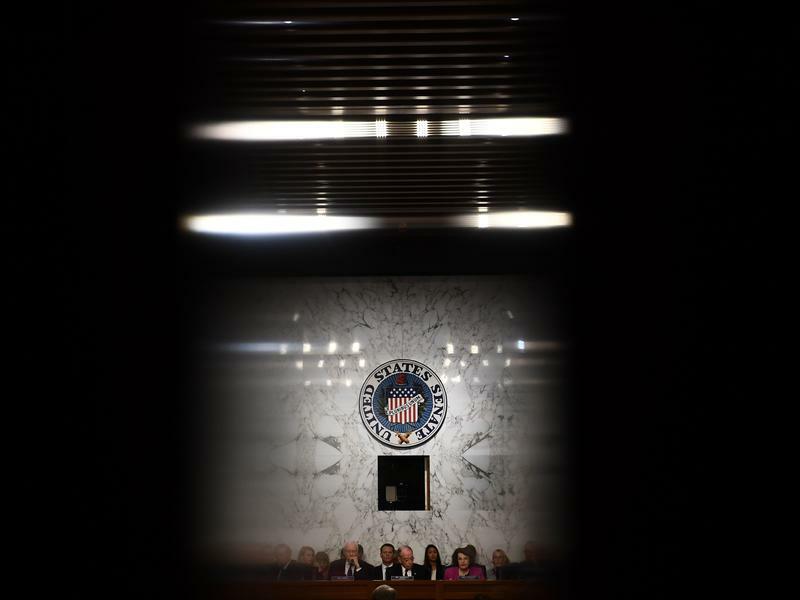 They talked about the women who have made allegations against him, Dr. Christine Blasey Ford and his Yale classmate Debbie Ramirez, and also about Yale graduate Anita Hill who accused Supreme Court nominee Clarence Thomas of sexual misconduct in 1991. Samantha Peltz is one of the organizers of the protest, which began with several minutes of silence. "It’s important that the silence that we are granting - retroactively, of course, Professor Hill - but also Dr. Blasey Ford and now Debbie Ramirez, be really powerfully embodied and that the people who occupy this institution on a daily basis experience what it’s like for that silence to be suffusing their life," Peltz said. Professors cancelled more than 30 classes so students could participate in the protests. Anna McNeil is an undergrad at Yale. She says the allegations are disappointing but not surprising. "These incidents can go on to shape individuals who become really very prominent," she said. 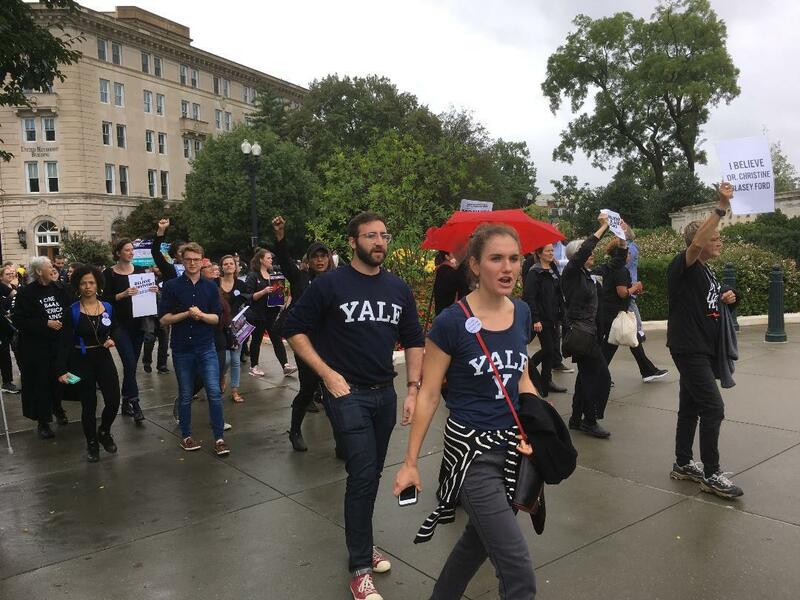 "So I’d say don’t shy away from the responsibility we have as Yale students to each other now and also to our country down the line. Because we’ll go on to inhabit those similar circles of power and we need to make sure that we’re holding each other to high enough standards that we can ensure that we’ll be good leaders, decision makers, lawmakers in the future." The students were joined by speakers including U.S. Senator Richard Blumenthal, also a Yale Law School alumnus. They stressed the importance of Kavanaugh’s appointment since he would be a deciding vote on women’s rights in the future. Meanwhile, around 100 students made the journey to Washington D.C. to stage a protest outside the Supreme Court, and to visit the offices of several prominent Republican senators, including Maine's Susan Collins who could be a swing vote on the confirmation. First year law student Hannah Duncan said some shared personal stories of sexual assault at their Capitol meetings. "We believed Anita Hill then, we believe Dr. Ford now," she said. 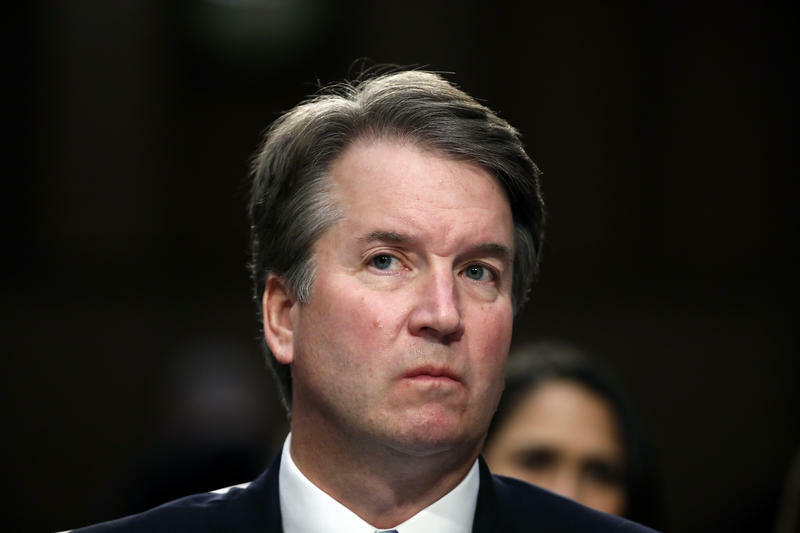 "Due process... could not be more relevant, because he's being nominated for the Supreme Court, so it's ridiculous to imagine that he can serve in that capacity and not give the full time and space needed to hear the allegations against him." Kavanaugh has called the allegations against him a "smear campaign," and said he will not be intimidated into withdrawing his nomination.